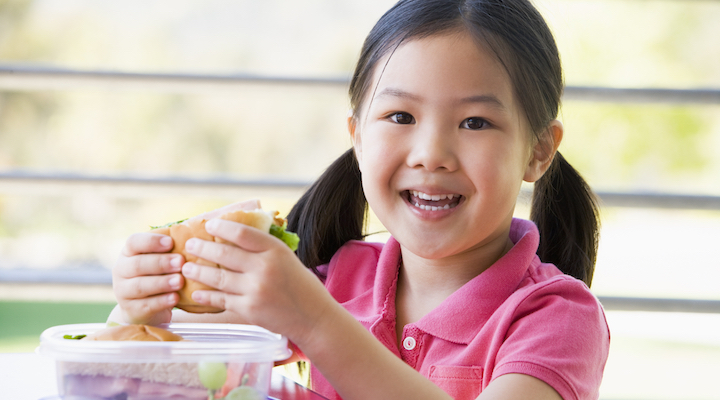 Healthy food can lead to a better performance in school. years are critical for cranium development, so use these tips to provide proper nutrition this school year. Kids nowadays aren’t getting enough water. And even mild cases of dehydration can cause kids to feel lethargic and irritable. Other beverages, like sugary juices and milk, can make cells more dehydrated. Encourage h2O consumption upon waking and send them to school with a water bottle. In terms of energy, this pair is a match made in heaven. Complex carbs and protein work together to give kids sustained energy, making them feel fuller for a longer period of time. Try wholegrain bread with protein-packed peanut butter. Folate is a B vitamin used to create memory brain cells. It’s found in leafy greens like spinach and kale. If you’re kids aren’t wild for veggies, try incorporating folate-rich foods into their favorite meals. For example, make spinach lasagna or homemade kale chips.